The automotive sector exports have performed the best ever export figures in terms of August month with 9.4 percent rise to $1 billion 836 million. As for the share of the automotive exports in the overall Turkey’s exports accounted for 14.8 percent. In the first eight months this year, the sector achieved exports worth $18 billion 624 million with 23 percent surge compared to the same period of the last year. Double digit increases of the passenger cars and supplier industry have been effective in the export success of the sector in August 2017. While 5 percent increase draws attention in the exports to Germany which is the biggest market of the sector, the second one was the UK with 24 percent and as for the USA ranked 5th in the sector exports with 141 percent rise. The sector exports to the EU countries raised 4 percent to $1 billion 339 million in August 2017. The automotive supplier industry boosted its export rate 14 percent to $821 million, passenger car exports 10 percent to $647 million; special purpose vehicle exports increased 2 percent to $217 million and bus-minibus-coach exports raised 4 percent to $119 million in August. In this segment, the most exported first three countries were listed Germany with 11%, France with 13%, Italy 17%; exports to the USA were 32%, to Poland 39% and to Russia with 41%. The rates of exports of passenger cars to Germany were 11%, to France 26%, to Italy 30% respectively. As for the other foremost markets the exports increased 30% to the UK, 54% to Belgium, 166% to the Netherlands, 90% to Poland. The passenger car exports to the USA performed a high rate. The special purpose vehicle exports increased 34% to the UK, 25% to Italy, 39% to the USA, 33% to Slovenia, 39% to France, 15% to Belgium and decreased 34% to Germany. In bus-minibus-coach group, while the exports decreased 24% to France featuring as the most exported country. In this group the exports increased 18% to Germany, 50% to UK, 140% to the USA respectively. In the country-base exports, Germany ranked atop with 5% increase to $333 million in August. The second big market was the UK with 24% increase to $162 million; France became third in the sector exports despite decreasing 17% to $158 million. As for the other foremost markets, the exports plunged 9% to Italy, 10% both to Spain and Romania, 15% to Israel; increased 141% to the USA, 101% to the Netherlands, 45% to Iran and 28% to Poland. 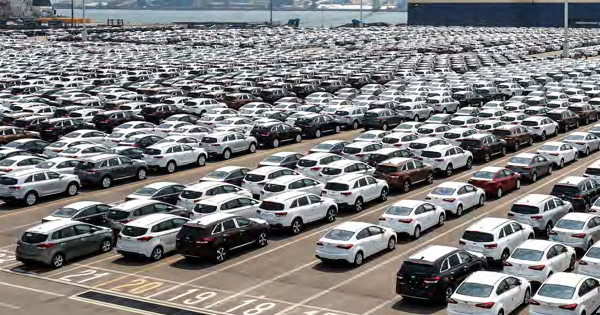 The Turkish automotive industry exports to the European Union countries got the share of 73% in the total sector exports which is the biggest market of the sector with 4% increase to $1 billion 339 million. As the sector exports draw attention with 100% increase to the American countries, as for the former Eastern Bloc countries the exports increased 29%, and 65% to Asian Ocean countries respectively.